EVE Online released an update today that introduced an event that will offer new enhancements for a limited time. Among the changes include rebalanced Citadels, ships, and structures; plus, in honor of Valentine’s Day tomorrow, a new EVE event allows pilots to gatecrash to a pirate party between February 13 to 27 for exclusive skins. 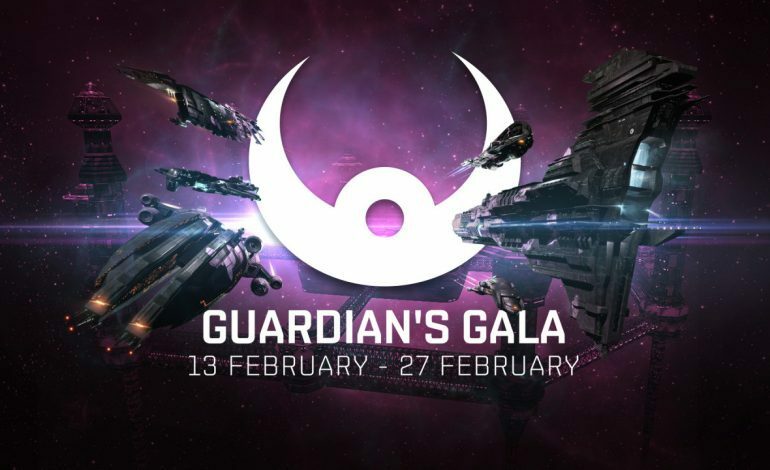 The new event, The Guardian’s Gala, is a returning event where players can attend special NPC gatherings if they find the particular location it is taking place. The fight is tame, and those who participate will receive exclusive Spirit ship skins alongside unique implants that could be useful for newer players. The event is free, and pilots can access it within The Agency tab. The event may be changing and expanding as pilots traverse through New Eden, so players are encouraged to periodically check the event page. In addition to the skins that will be available, the most impactful change is the introduction of Upwell Structures 2.0 and Assault Frigates receiving a rebalance. The rebalance involves updates regarding how the systems govern the Citadels. Following this patch, the Citadels now contain high- and lower-power modes that make them easier to blow up in combat. Citadels must contain at least one module online and constantly consume fuel to reside in high-power mode, offering full defensive capabilities. When structures run out of fuel, they are considered offline and will begin to enter low-power mode, depleting their defenses. These updates allow for destroying abandoned Citadels to be much easier, while also encouraging defenders to watch over their structures more intently. A new reinforcement system allows for the determination of when space stations become vulnerable to attacks from enemy players. Moon mining is also now available in high-security systems and wormhole space, allowing companies to benefit from mining moon rocks for profit. The already powerful Assault Frigates have been made even faster and more impactful, allowing for even more stable maneuverability. These updates are available now, and will certainly change the standard of the gameplay players are used to. EVE Online can be played for free on Steam.